Erno Kallai, a versatile musician, equally at home performing as a soloist, chamber musician, and concertmaster. The Strad magazin calls his playing "refined and elegant", and writes that he "never once produced a sound that was less than beautiful." Erno Kallai, born in Budapest, began early violin training with his father, and already at the age of twelve he had been admitted to the Exceptionally Talented Children’s class of the Franz Liszt University of Music. In 2006 he moved to the United States to study with Itzhak Perlman at the Juilliard School as a full scholarship student. Erno holds a bachelor's and master’s degrees from the Juilliard School of Music. As a devoted chamber musician, he has performed chamber music concerts with world renowned violinist Itzhak Perlman and members of the Perlman Music Program. 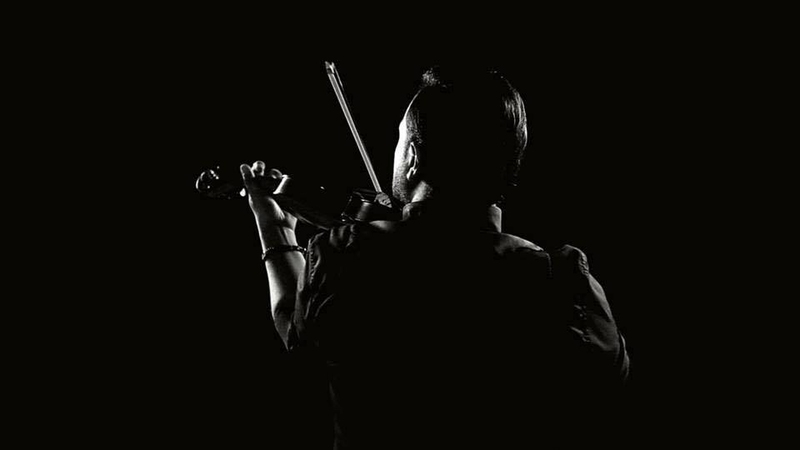 Erno has played for Hungarian radio and television, France Musique, WQXR, and in 2014 he recorded his first album for Hungaroton including Violin Sonatas by Mozart. In 2015 he founded his string quartet, the Kallai Quartet, and from 2016 he serves as a concertmaster of the Hungarian State Opera. Erno made his Carnegie Hall, Stern Auditorium debut in 2008 with the Juilliard Orchestra. In 2011 he made his debut with the New York Philharmonic, and has played in venues such as the Louvre Auditorium in Paris, Teatro Real in Madrid, Metropolitan Museum in New York, Avery Fisher Hall, Alice Tully Hall, Chicago's Symphony Hall, Franz Liszt Music Academy, and the Palace of Arts in Budapest. He has played concerts in the U.S., Canada, Mexico, France, Spain, Italy, Russia, Sweden, and Hungary. Besides concertizing, Erno also feels the importance of nurturing the young generation of violinists, and has held master classes in Hungary and in Lugano. Erno has won numerous awards and prizes, including the Cziffra Festival’s award in 2017, Fischer Annie Scholarship in 2016, first prize at the Leo Weiner Chamber Music Competition in 2016 with the Kallai Quartet, second prize at the Societa Umanitaria International Music Competition (Milan) in 2015 with the Kallai Quartet, Junior Prima award in 2012, second prize and audience prize at the International Szigeti Violin and Viola Competition in 2012, first prize at the Alexander and Buono International String Competition (New York) in 2011, first prize of the Carl Flesch International Violin Competition in 2008, first prize at the Juilliard Concerto Competition in 2008, Salon de Virtuosi Career Grant (New York) in 2007, Special Prize at the International Sarasate Violin Competition in 2005, first prize at the Semmering Music Festival for best interpretation of a Viennese Classic work, and best interpretation of a work by Kodaly, among others. Erno Kallai is playing on a Carlo Antonio Testore violin which is a generous gift from Summa Artium, and using a bow by bowmaker Howard Green.